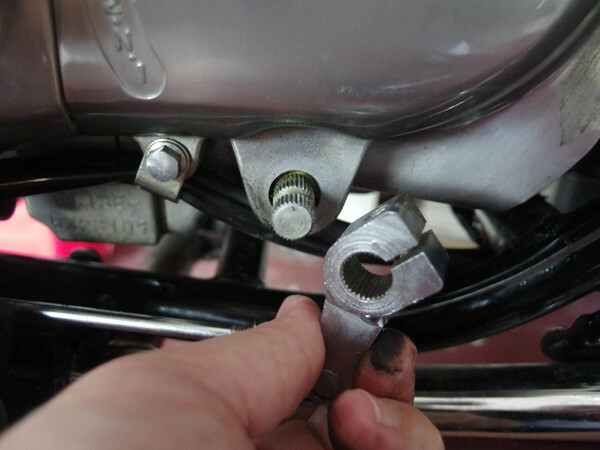 Adjusting the height of the shift lever on a Honda Rebel 250 is probably the easiest thing you can do, and a great way to customize the feel of the bike to your own preferences. Some people like wearing big boots, or just have big feet. Other people, like me, have small feet and prefer wearing lower-profile motorcycle boots. So, when I got my Rebel, I had to lower the shift lever back to the stock height. 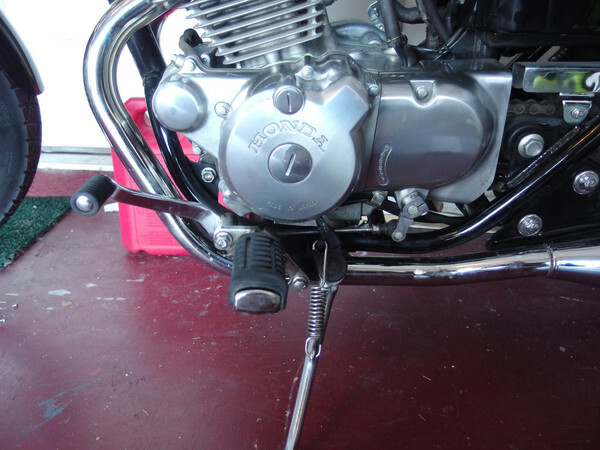 Locate the shift lever and follow the mechanism all the way back until it connects to the transmission. Note the positions of the markings on the shaft and crank. 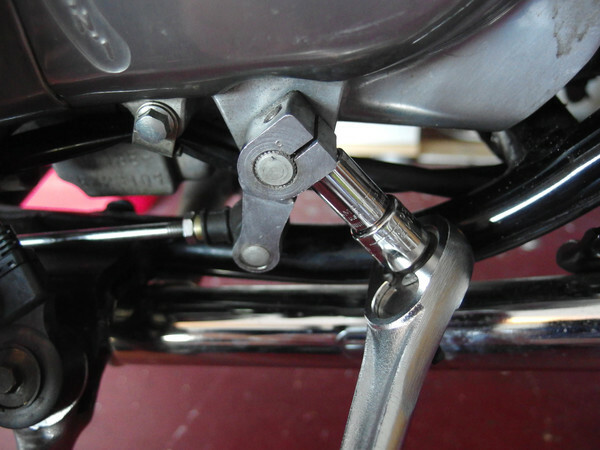 In this picture, notice that the marking on the crank is clockwise of the marking on the shaft, indicating that the previous owner adjusted the shift lever upward. I want to adjust the lever downward, so I'm going to rotate the mark on the crank counter-clockwise. 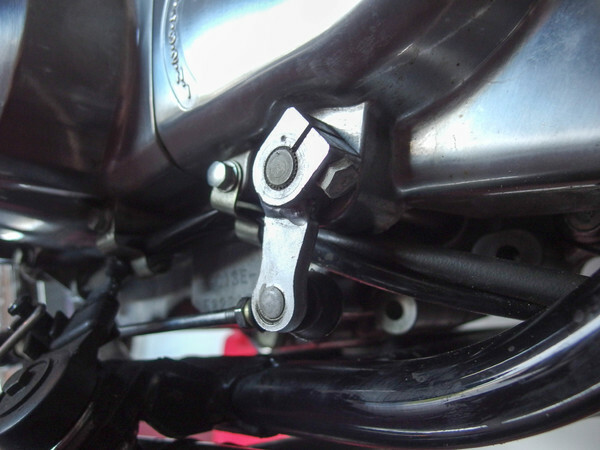 Locate the 10mm bolt that holds the crank onto the shaft. Pull the crank off of the shaft. Rotate the crank in the desired direction and slip it over the shaft. A little goes a long way here, so I recommend doing this one spline at a time until you get it the way you like it. Personally, I reset the markings back to their factory positions (lined up with each other). 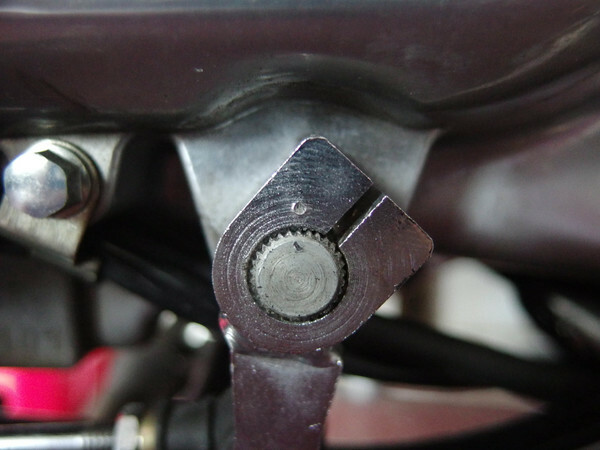 Reinsert the bolt and tighten it down until it is snug. It doesn't need to be crazy tight. Go for a ride and see how you like it. If you don't, repeat this process until you find the right setting for you. 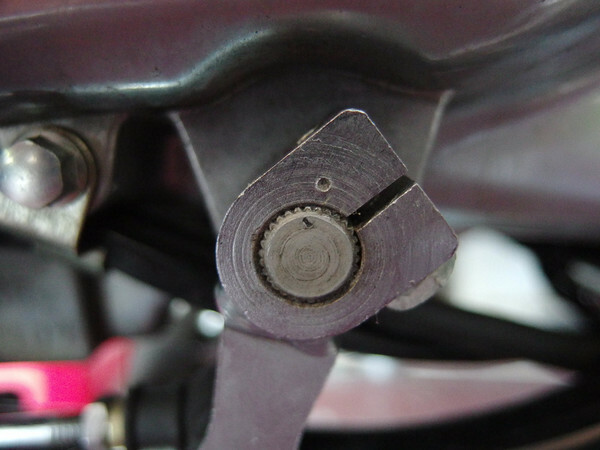 Shifter Adjustment - How Can I Get My Toe Under The Shifter?